The world famous casino brand, MGM, has entered the online poker industry in New Jersey with its new platform, playMGM Online Poker NJ. The playMGM NJ brand is fully legal and licensed for all types of real money gaming through the New Jersey Division of Gaming Enforcement. MGM brings its prestigious reputation to New Jersey through a partnership with Borgata, purchasing 50% stake in the Atlantic City Casino in 2016. With plans on expanding online through building both an online casino and poker platform for well over a year, the launch of the MGM Internet gaming websites have proven to be top tier choices for New Jersey players. The playMGM Poker platform hosts plenty of different weekly tournaments, various online poker game types, and offers new players in NJ an incredibly large amount of bonus cash through an initial welcome package. The site also boasts an automatic loyalty program and a number of side promotions that include satellites, freerolls, and reload bonuses. In this review, we’ll cover the entire ins and outs of the online poker platform including a step by step process of how to get the full welcome bonus package. On playMGM Poker, players can capitalize on two different starter bonuses when they first register with the site. The first promotion to grab is the free $25 in bonus cash that does not even require a deposit. However, if you want even more bonus cash to play with, the Welcome Package include a 100% match deposit bonus as well that doubles your first deposit up to $1000. So, for example, if you deposit $1000 when you sign up, you would have a total of $2025 to start playing online poker. Also to note, the free $25 breaks up to allow you to try both cash ring games as well as to enter in tournaments. When you receive your bonus, it will split into $15 for tournament entries and $10 for all online poker ring games. To be eligible for these bonuses, you will need to be at least 21 years old and playing with the borders of New Jersey. In order to make a withdrawal of bonus cash or any money won through wagering bonus cash, you will need to complete play through requirements. For the $10 online poker cash, you will only need to earn 1 iReward Point to release for withdraw. The release requirements state that the deposit bonus cash with unlock for withdrawal in 10% increments of the total deposit amount. The unlocking play through rate will be through earning iReward Points (iRPs) at 20x the deposit amount. Luckily, you earn 5.5 iReward Points for every $1 you spend on tournament fees or poker ring table rakes. You’ll have seven days to complete any releasing requirements. You can earn bonus cash as well as freerolls for hitting certain iReward Point targets. With very small buy ins, you can hit huge payouts on varying satellite packages. You earn monthly Leaderboard Points through multi-table tournaments that you can redeem for tournament cash, tournament entries, and seats at live MGM tournaments around the world. This tournament happens everyday at 7pm EST, with a two hour late registration window. The name of the game is No Limit Texas Hold’em. The buy in is only $109 and the tournament prize pool is always $10,000 guaranteed. There is a re-entry option for those who want to get back in if needed. With 44 blind levels that range 25 to 60,000 chips, you have a good shot at this daily favorite. Another No Limit Texas Hold’em tournament, Sunday is definitely the most popular day of the week for online poker. 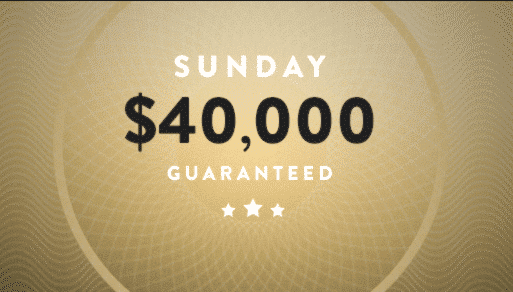 This $40,000 guaranteed Sunday Major main event tournament starts at 5pm EST, and has a relatively low buy in of $215. There is no late registration period or re-entry available for this tournament. There are over 70 different daily tournaments on playMGM Poker, giving players one of the widest selections in New Jersey. 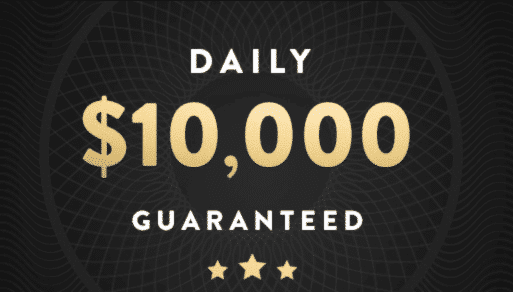 The buy in amounts range from just $2 to $215, with $25,000 in guarantees every day from Monday through Saturday, and $75,000 in guarantees on Sundays. There are several different game types available including variations and mixes of Turbos, Bounties, Hypers, 6 Max, Deepstacks and more. When you want to play real money online poker on the go, playMGM Poker’s mobile apps can be downloaded and accessed anywhere in New Jersey. The iOS version of the mobile app is available for both the iPhone and iPad on the Apple iTunes App Store. Your iOS mobile devices will need the iOS 9.0 update or higher to be able to download. 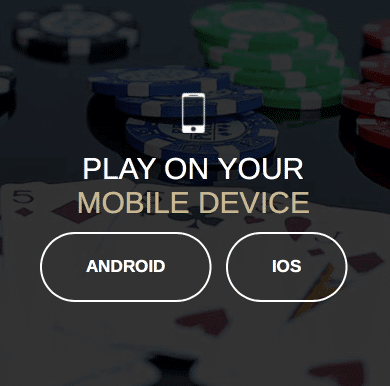 As for Android users, you can find and download the playMGM Poker app on the website when accessing it from an Android mobile device. The apps are not limiting in any way and actually host the same tournaments you can find on the desktop versions of the platform. Additionally, you can also join in on the typical ring games, with Texas Hold’em being the most popular. The mobile layout is well organized with a series of tappable options when confining your search for a tournament or game type. You can sign on with your existing account details or register for a new account if you are a new player. The deposit and withdraw options are all available via mobile. The software on playMGM Poker is through GVC Holdings, which also provides gaming software for the other brands within the Party Borgata Network. The playMGM Poker gameplay is one of the smoothest in the industry, with little to no issues. The software company also did a great job at upgrading the gameplay quality and intertwining with the well organized and presentable layout by MGM. Players are able to simply find anything they are looking for on all versions of the online poker platform and can start playing quickly. The combination of the top notch design, simple layout, and improved software put playMGM Poker as New Jersey’s platform standard. When playing any of the cash games or tournament types on playMGM Poker, you will instantly earn iReward Points. iReward Points are redeemable for cash, prizes at the Loyalty Store, and express comps at any MGM location. You earn 5.5 iReward Points for every $1 in tournament fees or cash game rakes. There are also five different tiers within the loyalty program, which increase the benefits of the three different types of rewards. All players start at Sapphire iRewards tier and will need 25,000 iRewards Points per year to hit Pearl, 75,000 for Gold, and 200,000 for Platinum. The fifth and final tier is Noir, which is by invitation only. Is playMGM Online Poker NJ Legal? If you play online poker in New Jersey, it is very important you are safe and legally within the confines of the law. The playMGM Poker platform is entirely legal and secure for all New Jersey players. 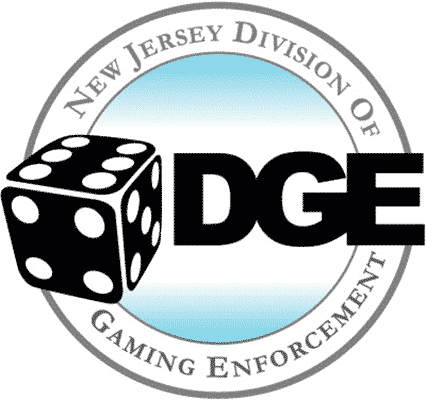 The New Jersey Division of Gaming Enforcement fully regulates playMGM Poker and ensures players are treated fairly. In New Jersey, online gaming providers need to hold a partnership with a brick and mortar casino that is in good regulatory standing to prove player safety and fairness are a priority. MGM is a brand on the Party Borgata Network license and holds 50% interest in Atlantic City’s Borgata, which is the highest revenue grossing casino in New Jersey. On playMGM Poker, your financial and personal information is secured through a 128-bit encryption as seen with major banking websites. Additionally, playMGM Poker upholds the New Jersey Responsible Gaming Laws, which protects players from wagering over their head and allows anyone to set limits for deposits. If you ever run into any problems on the platform, there a few ways to get help from the playMGM Poker Support Team. You can first try the Frequently Asked Questions (FAQs) which are great for typical queries, as they come with step by step troubleshooting guides. You can also find directions and strategies on all of the game types, tournaments, and on the How to Play section of the site located in the upper left hand corner. The How to Play section also gives information such as a Poker Glossary and Hand Rankings Guide to help newer players. If you still are need of support, you can use the Live Help option, send an email to [email protected] or just fill out the email form under the Contact Us section located on the bottom left of the website. Players can always call playMGM Poker NJ at any time, toll free at 1-609-248-9531. New players at playMGM Online Poker NJ are able to start off by getting a free $25 in online poker bonus cash, just by registering. On the first deposit of $10 or more, new players on playMGM Poker get a 100% match up to $1,000 in additional bonus cash. On top of the Welcome Package, playMGM Online Poker NJ also has daily freeroll promotions and weekly reload bonuses. On playMGM Poker, New Jersey players get to choose from six different types of tournaments with ranging buyins, guaranteed payouts, timeframes, and more. 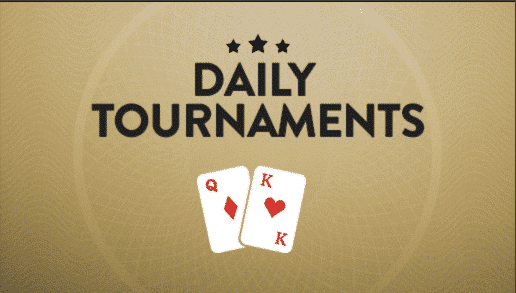 With over 70 daily tournaments include freeroll tournaments and qualifiers, there is a player specific choice for new and experienced players alike. Being one of the more recent online poker platforms in the New Jersey Internet Gaming Industry, playMGM Poker definitely does not disappoint when it comes to operability and the overall design. The aesthetic of the platform is cutting edge as well as pleasing, and players can easily maneuver both the desktop and mobile versions of the platform. The playMGM Poker platform is completely legal and safe to play in New Jersey. With so many unsafe and illegal offshore online poker sites on the Internet, players should feel secure and that they have a fair chance to win.